Kari Johnson, Program Director at Sojourn, is full of music to share! The flow of Kari’s recital included plenty of conversation between pieces. The goal was to “see” imagery in the music Kari would play. Kari wrote four themes on a chalkboard: rivers, love, deep thoughts, and family. Then, she asked for imagery based on each theme. Rivers brought talk of canoes, trees, waterfalls, and bridges. Love and family both inspired memories about children, relationships, and time together. Deep thoughts delved into loneliness, work, the universe—even aliens! 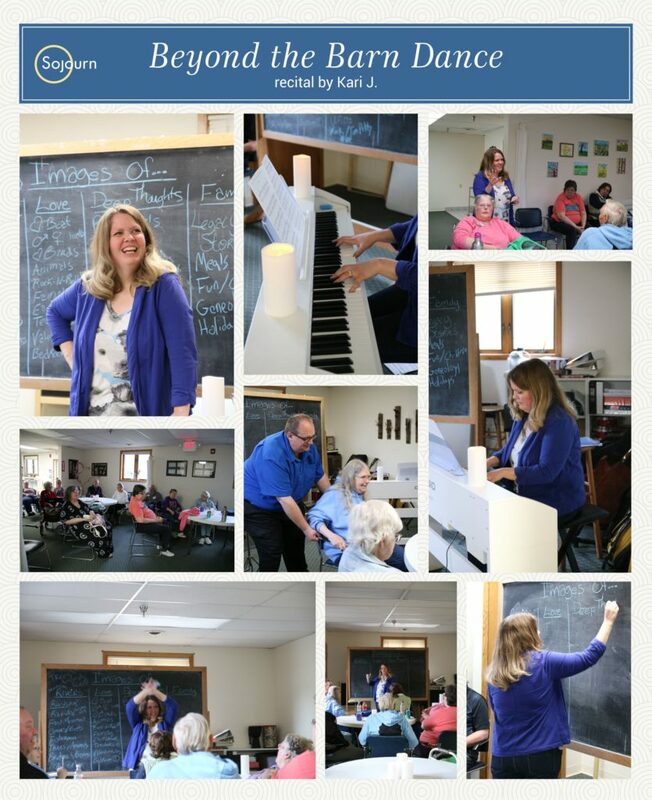 Then, Kari took a melody related to each theme, like “Children of the Heavenly Father” and “The Prayer,” while Sojourners listened and thought about the imagery. At the end of each song, any new images would be written on the board as well. For the fifth song, a light, lively tune, there was no theme on the board! Instead, Kari asked Sojourners to use their imagination to create images and themes for the music. Afterwards, people shared their images. Family members, water, sunshine… “A little bit of everything!” said one Sojourner with a smile. Kari’s studies are impressively well rounded. After studying at St. Paul Bible College, she finished at Northwestern in St. Paul, graduating with degrees in Music Education, Music Performance, Psychology, and Bible Studies. This wide background helps her think creatively about music and how it affects people. Kari, your music skills are just a small part of the blessing you are in this Sojourn family. Thank you for sharing your talents with us!